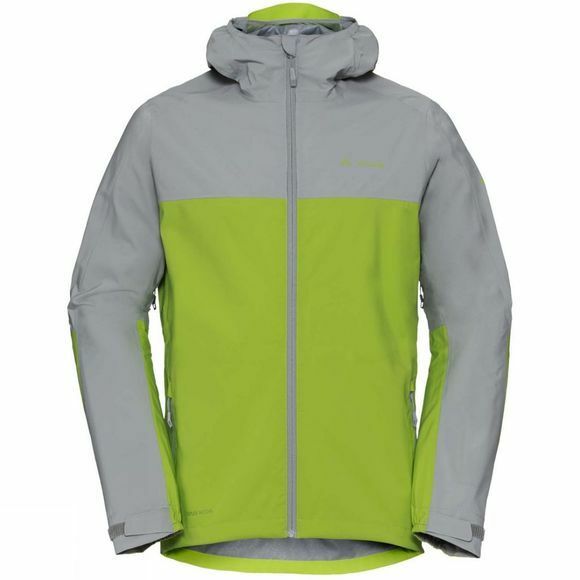 The Mens Moab Rain Jacket from Vaude is a casual rain jacket that'll keep you safe from the storm! This lightweight 2.5-layer bike rain jacket with a roll-up hood will see you safely through that next cloudburst, guaranteeing free spirited cycling. Made from a material certified by the strict bluesign system environmental standard, it's comfortably lightweight, stretchy and offers maximum functionality. 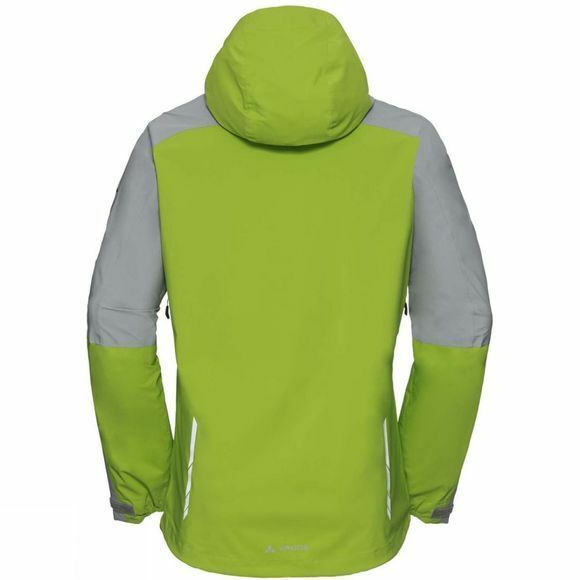 Features include ventilation under the arms, waterproof zips, two chest pockets, adjustable lower hem and cuffs as well as reflective elements for better visibility. This product is made with Eco Finish, an eco-friendly, fluorocarbon-free, water repellent finish (PFC-free). The Vaude Green Shape label stands for environmentally friendly, functional products made from sustainable materials.